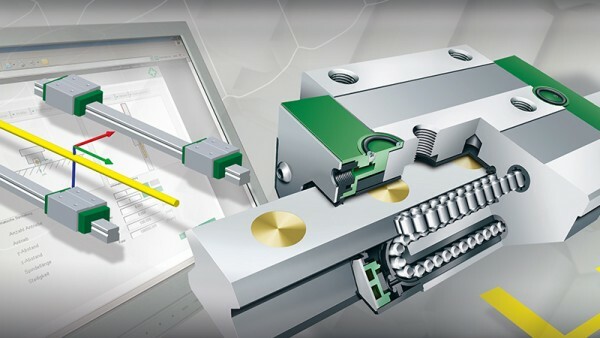 With the new BEARINX-online module "Easy Linear", you can very easily calculate the basic rating life of a driven linear axis supported by rolling bearings. This takes account of all drive, inertia and operating forces. You can also ouput the calculation result as a PDF for your documentation. The data inputs are managed in a self-explanatory manner using the transparent menu-riven system. The most commonly used linear axis combinations in a drive, guideway and carriage arrangement are preconfigured. 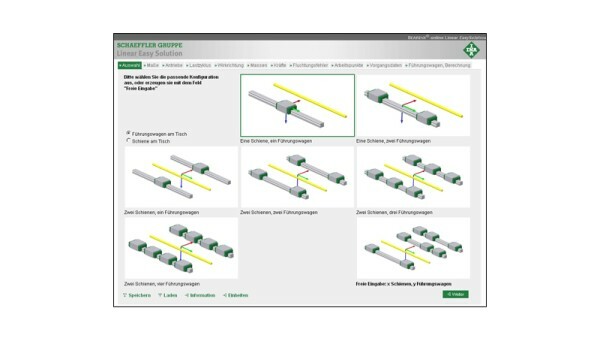 In addition, you have the option of freely selecting an axis combination with up to four guideways and 16 carriages. The calculation program "Easy Linear" is available online only and can be used free of charge without restriction. After your initial registration and a positive verification you can start your calculation.